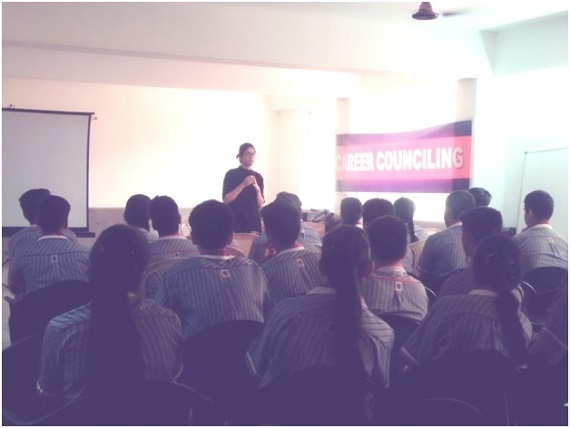 The school organised a career counselling workshop for students of class XI on 26th of April 2016. The resource people for the workshop were Nutritionists Ms.MitikaKashyap, working as a paediatric dietician at AIIMS and Ms.YagyaAgnihotri working as clinical dietician at AIIMS. They had an interactive session with the students regarding the merits of and qualification required for taking Nutritionist as a career. They told students how the subject Home Science is not just limited to cooking but to food science, public nutrition and clinical nutrition. They shared important information with the students about the evolving field of Nutrition in India and the various courses related with the same. Students discussed some of their queries with the two resource person and keenly listened to the information shared the two. Overall it was a wonderful interactive and knowledgeable session.